My style changes as the weather turns warmer, since I tend to spend more time in the outdoors. Casual bohemian styles are frequently chosen when I feel like strolling around town or even visiting a new town here in North Carolina. 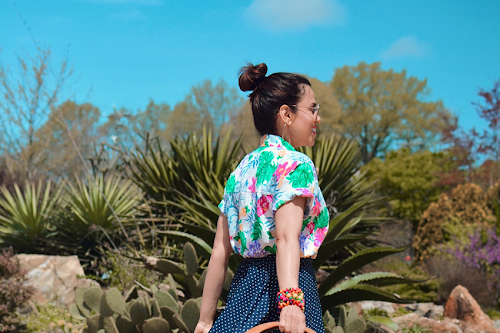 This time for Earth Day, I decided to wear an almost all-white boho look with modern and ethnic accessories in a warm hue. Mi estilo cambia a medida que el tiempo se vuelve más cálido, ya que me gusta pasar el tiempo al aire libre. 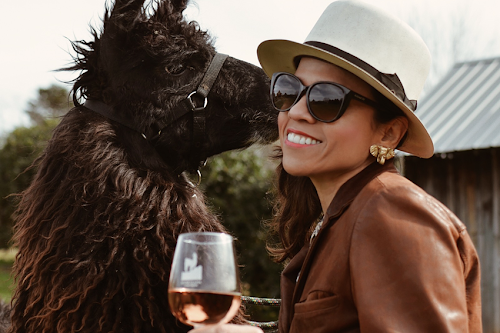 Los estilos bohemios y casuales son los que mas elijo cuando me decido ir de paseo por la ciudad o incluso cuando visito ciudades nuevas aquí en las Carolinas. Esta vez para el Día de La Tierra, me decidí ponerme un traje totalmente blanco con accesorios modernos y étnicos de una tonalidad cálida. Dress/Vestido: H&M. I completely LOVE this, or another choice here. 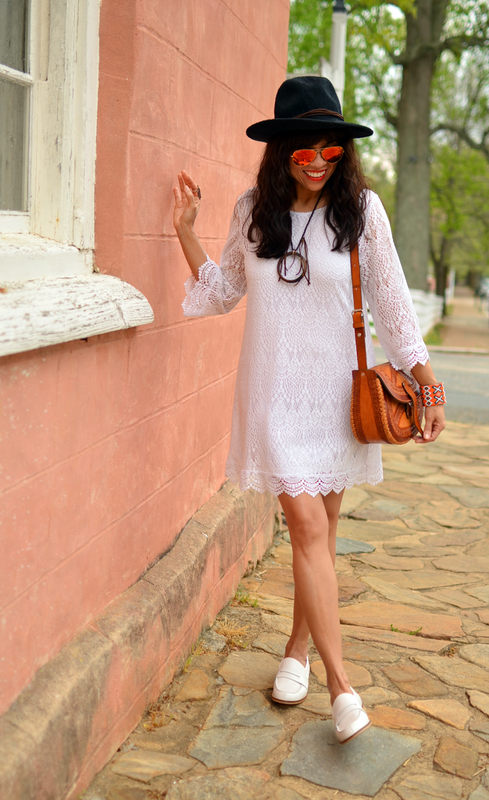 I adore a lace dress for summer and this white one is a beauty. Brilliant to style it with these cool shoes! Thanks Courtney for your comment and for visiting my blog. ooo i can't wait to see your spring style then! i love this white lacy number on you. it's so feminine, and your sunnies made it playful and fun! Love it! White is such a great....hmmm, I was going to say colour....non-colour on you, LOL! 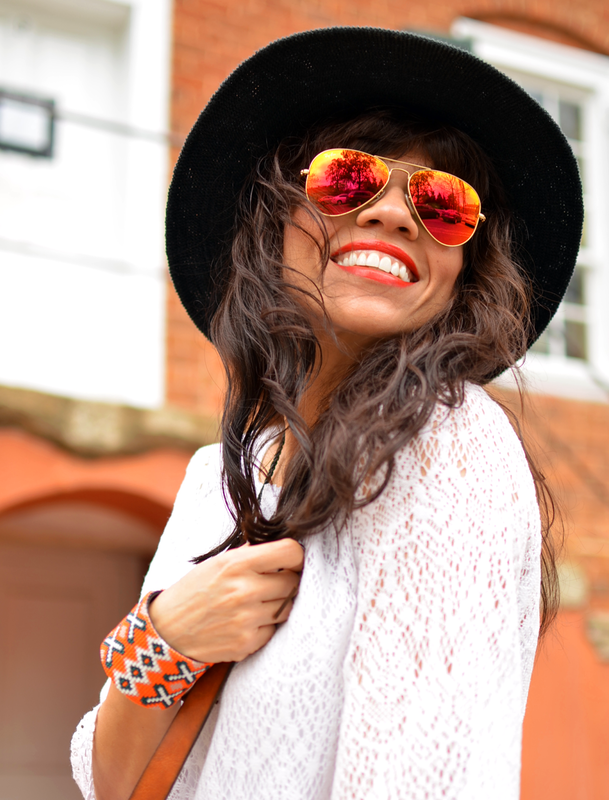 You wear it well, and the pop of orange in the cuff is perfect! Both the items I like the most here are handmade or vintage. The bag and the cuff really catch my eye. The same here. 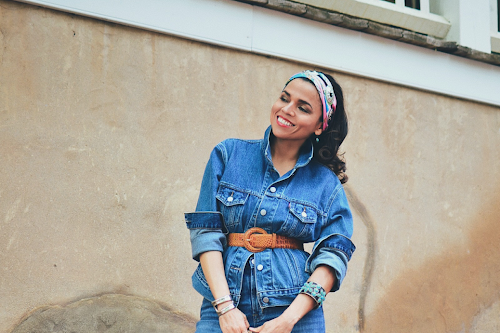 I love my vintage and handmade items, since they add character to my outfits. your dress is super pretty, love it! Precioso el vestido ! me encanta el detalle de las gafas de espejo !! Gracis Iván! Tu sabes que los espejos que los Ray-Ban nunca se esconden. Thanks Megan! 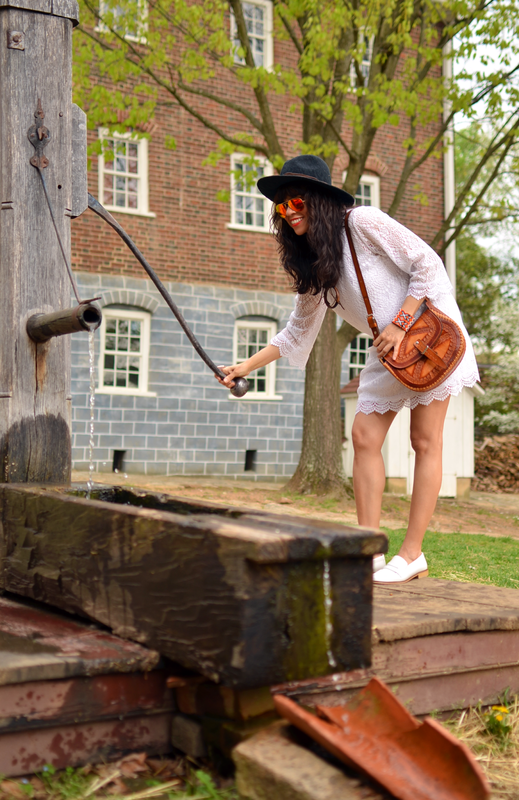 Old Salem is the perfect place for any bohemian look.